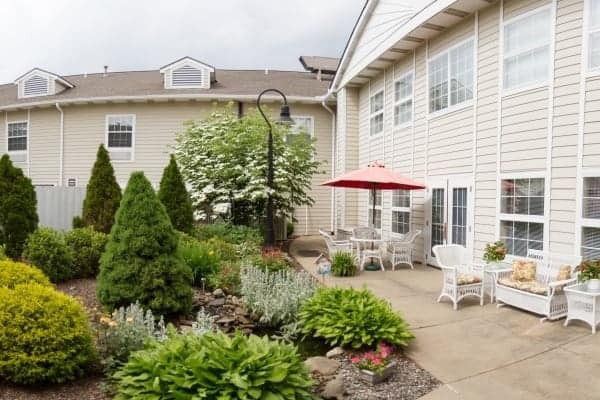 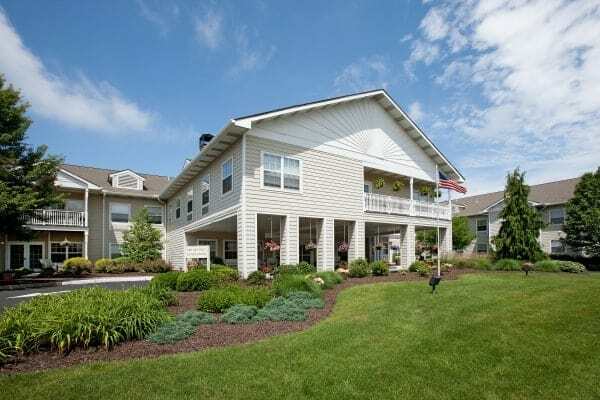 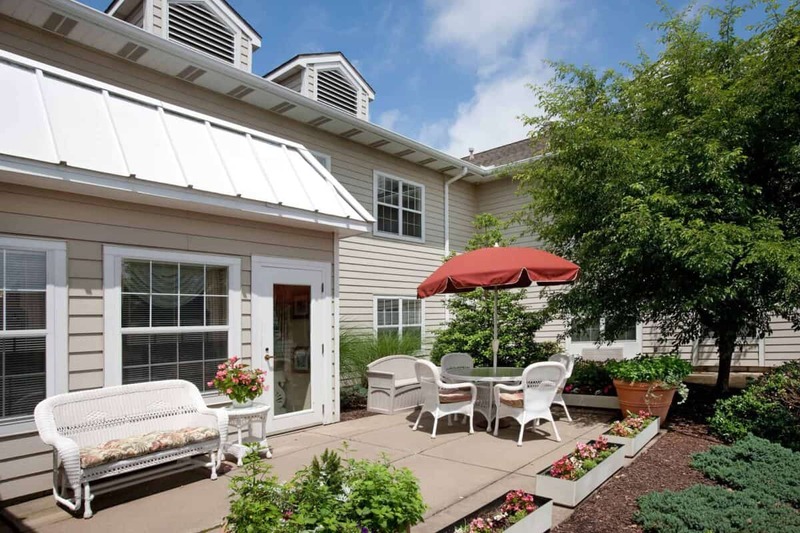 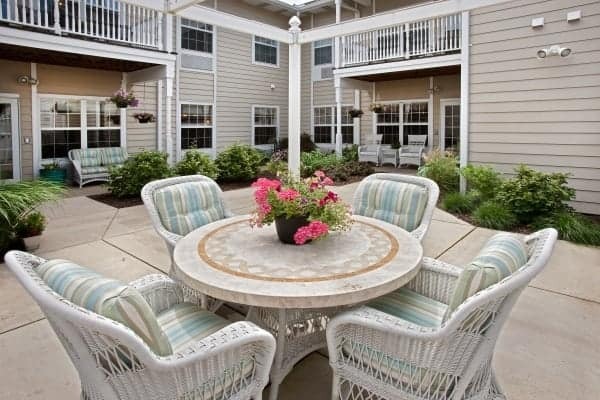 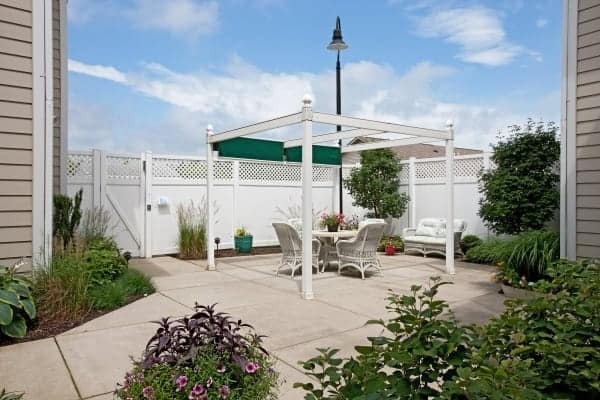 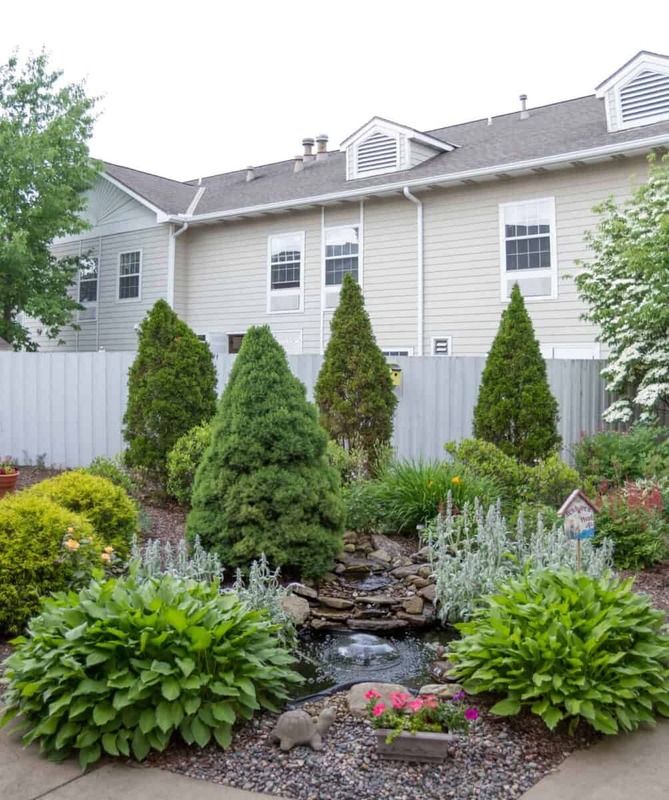 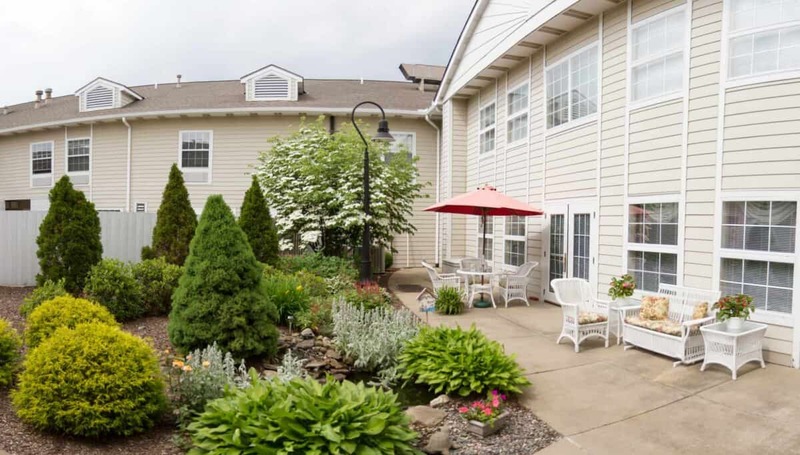 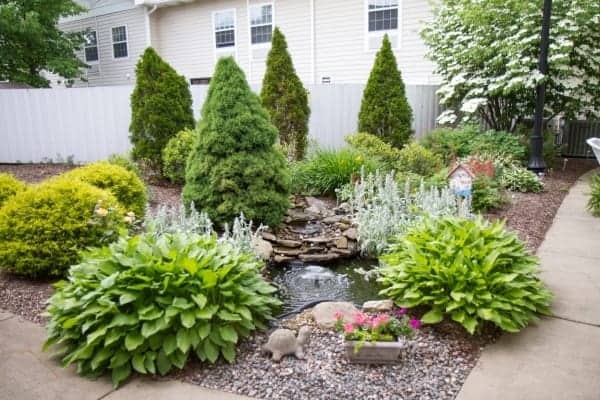 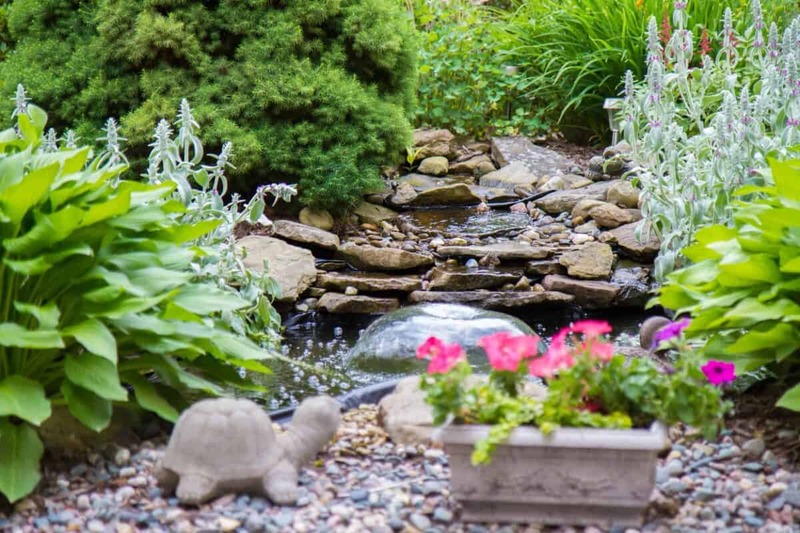 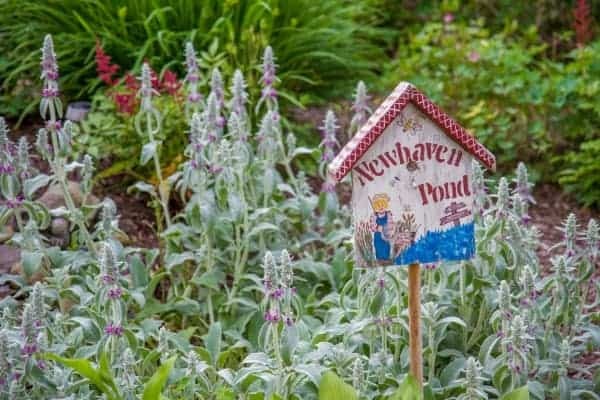 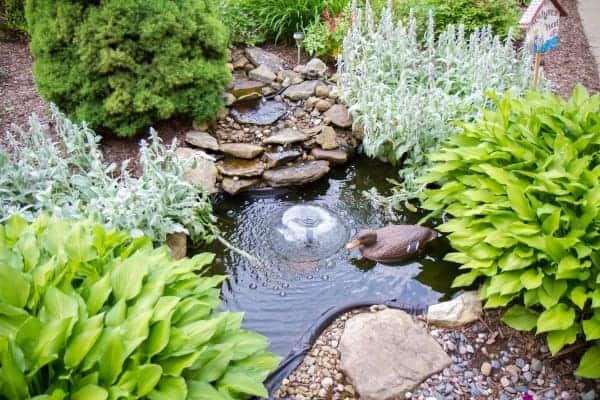 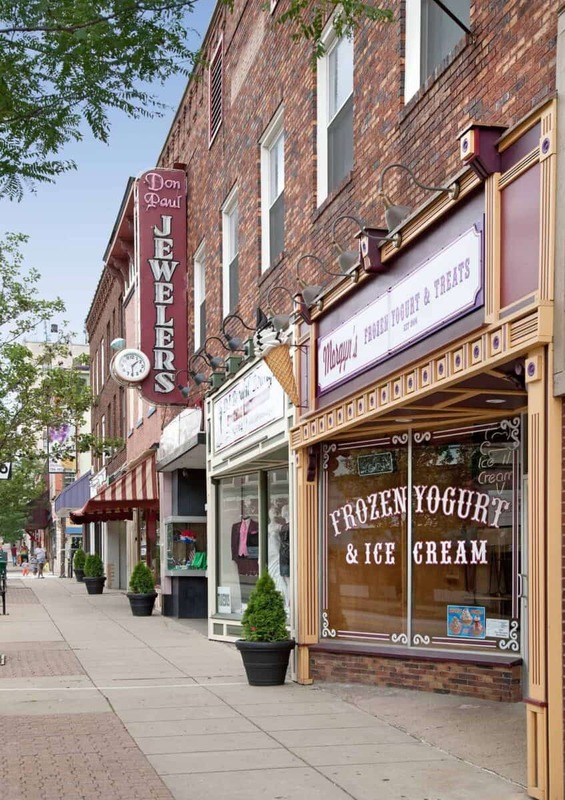 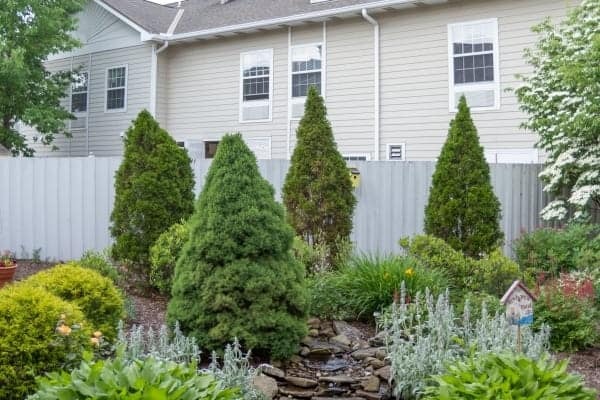 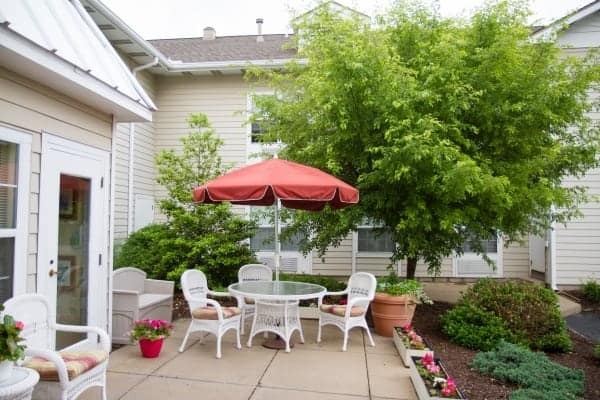 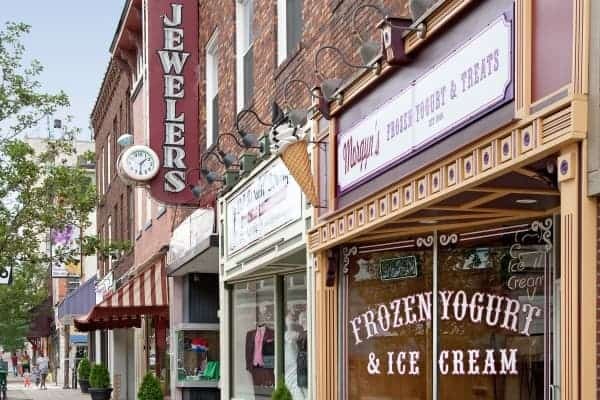 Butler's picturesque setting is the perfect surrounding to Newhaven Court at Clearview's charming grounds. 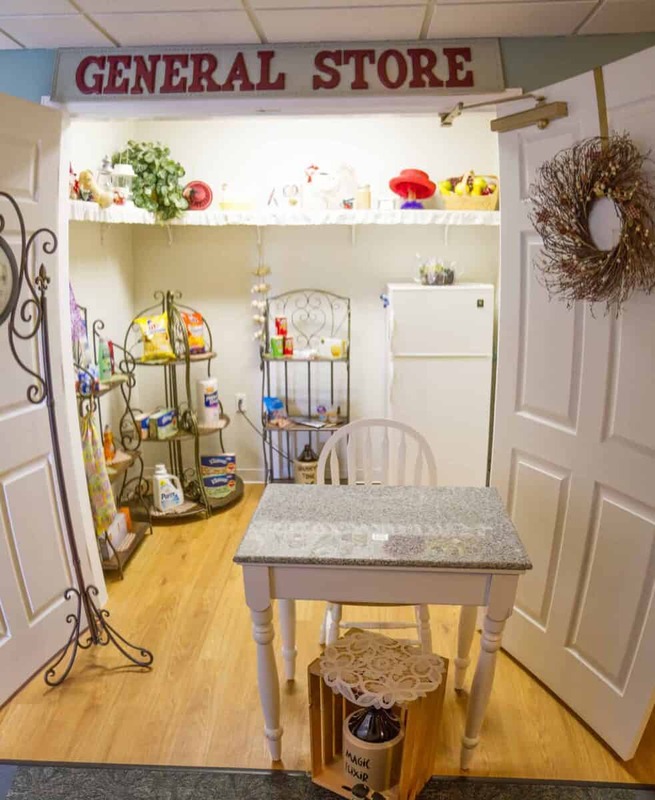 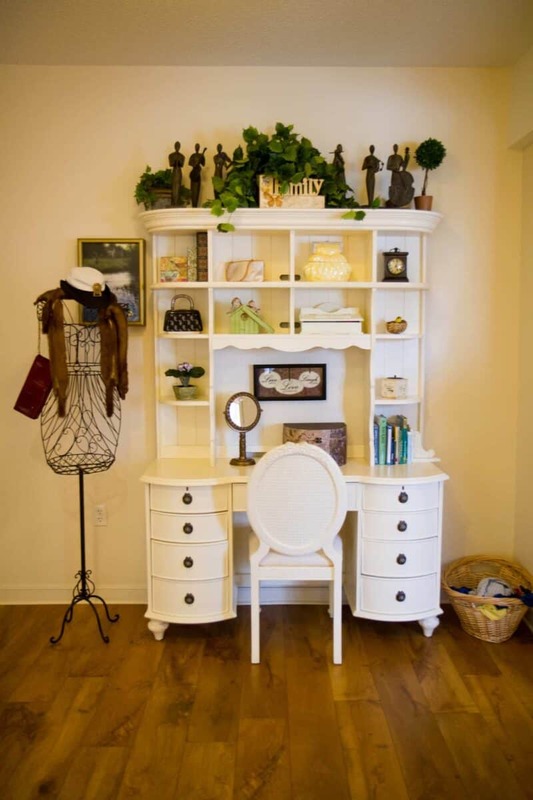 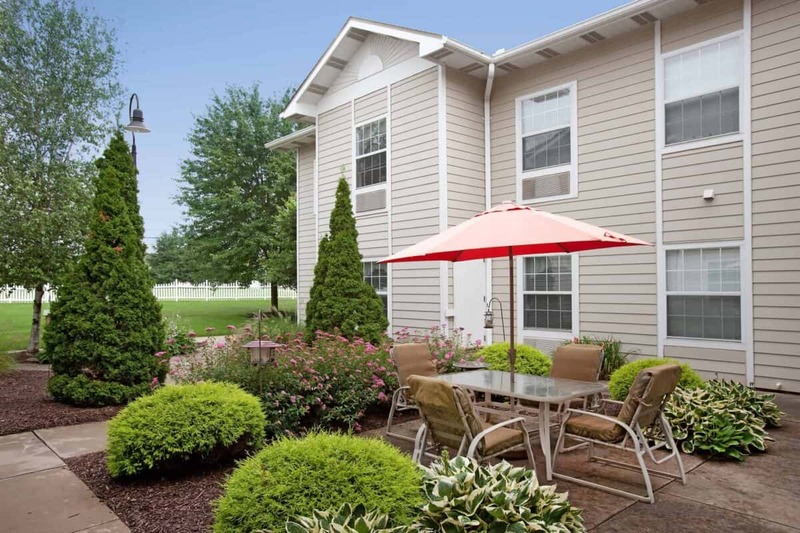 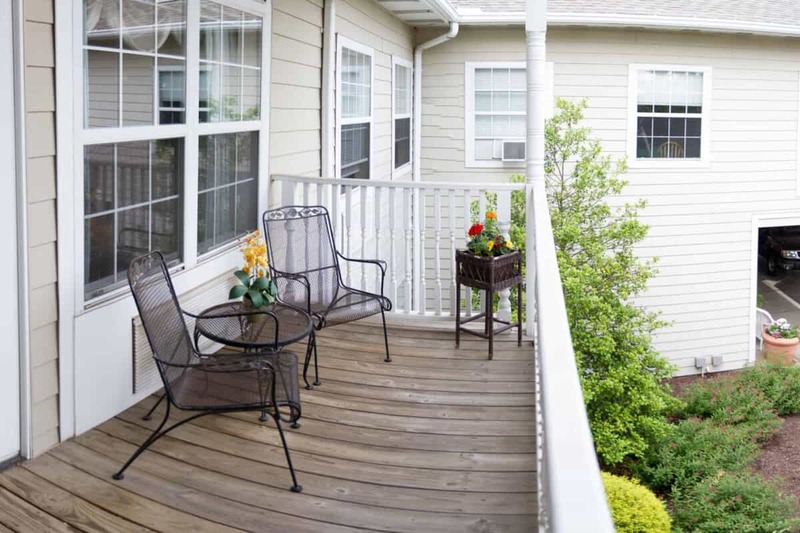 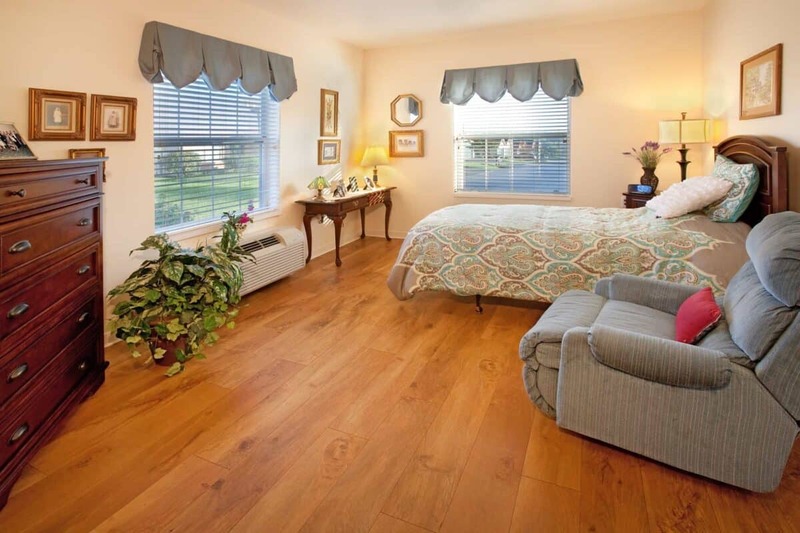 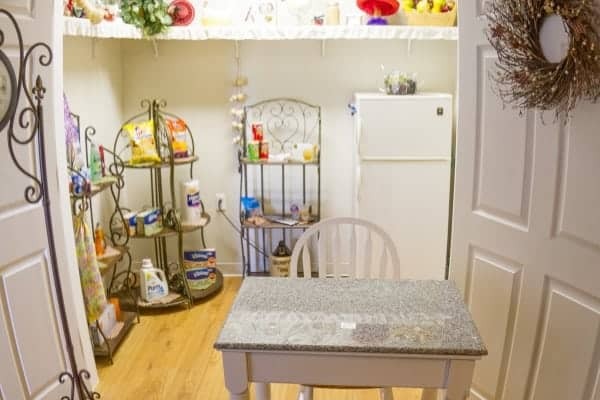 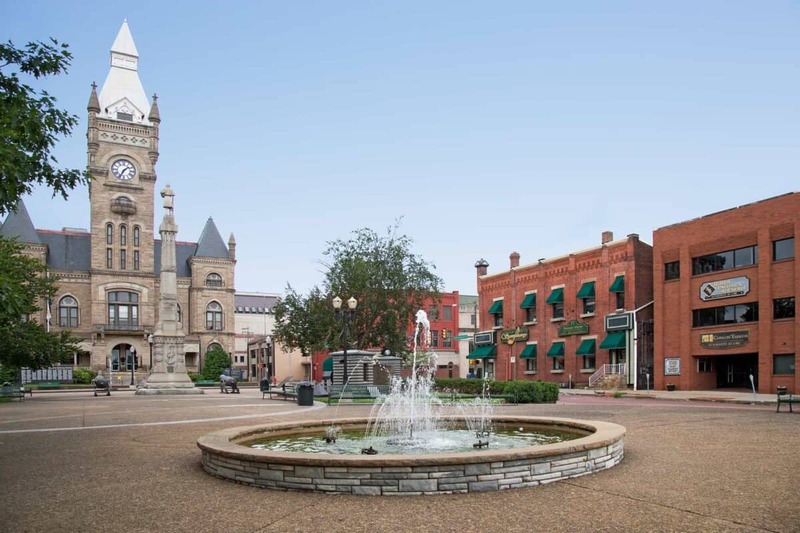 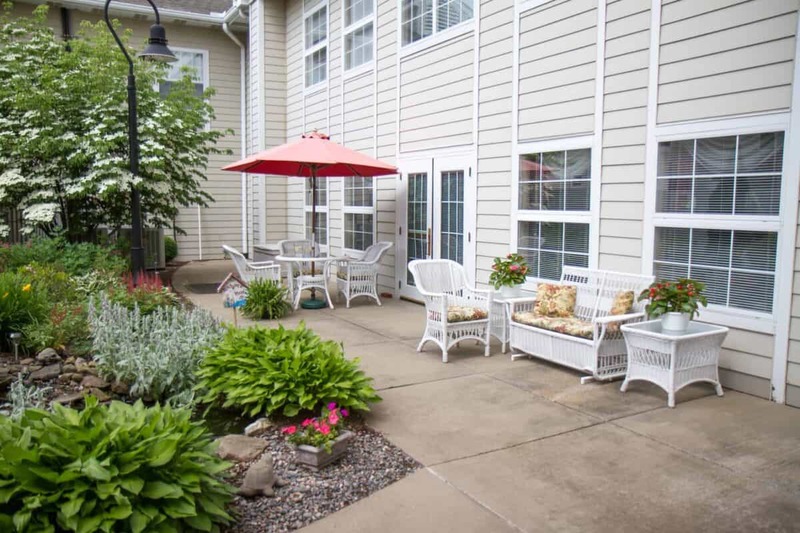 Our two-story community includes two elevators and is completely handicap-accessible. 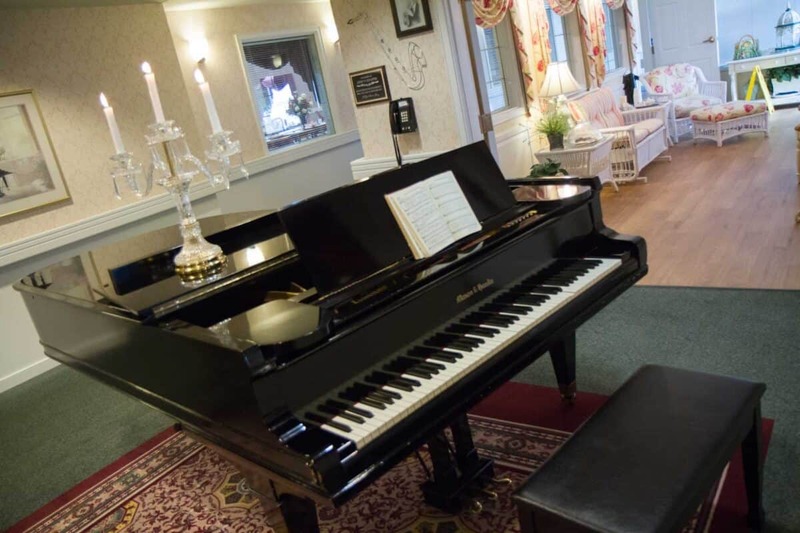 Guests are welcomed with a reception area furnished with our own grand piano! 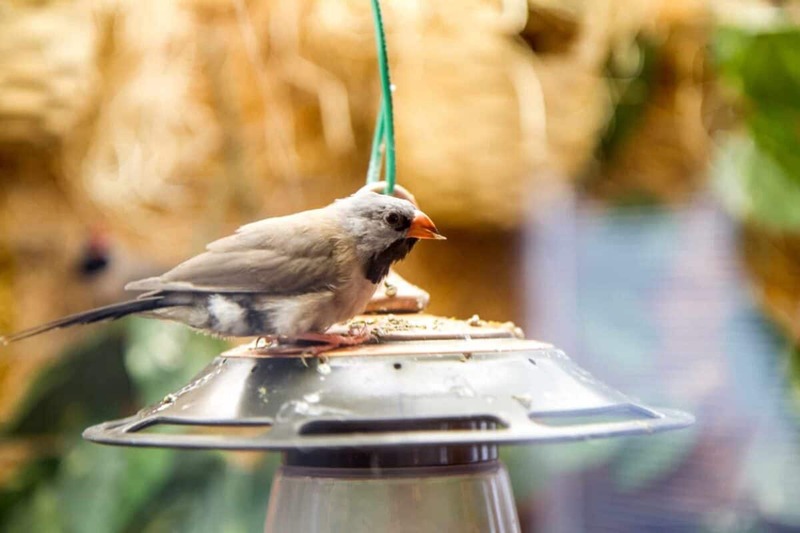 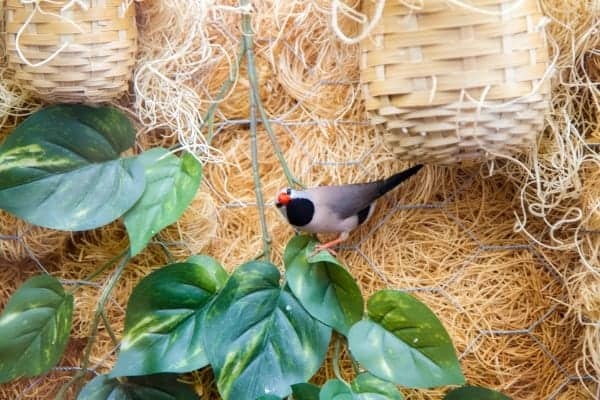 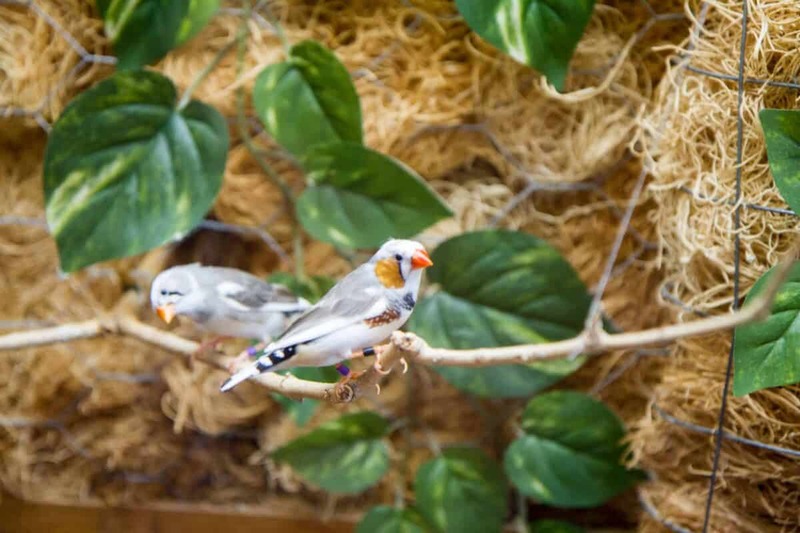 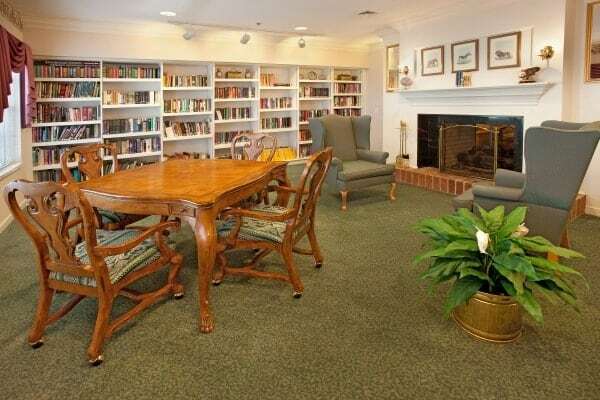 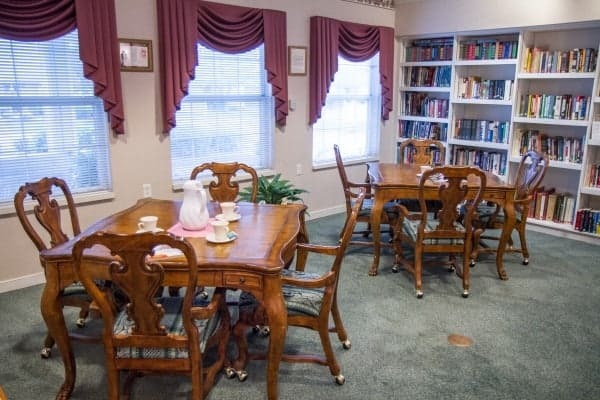 There are inviting spaces for friends and family to gather, like our sunroom with pastel accents and modern hardwood floors, our library with elegant features including a cozy fireplace, and our finch aviary where residents love to bird watch. 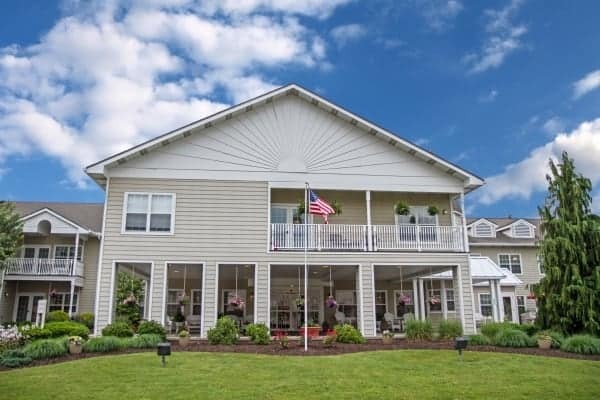 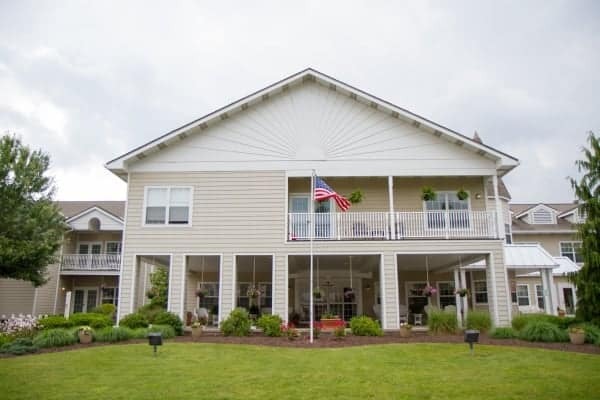 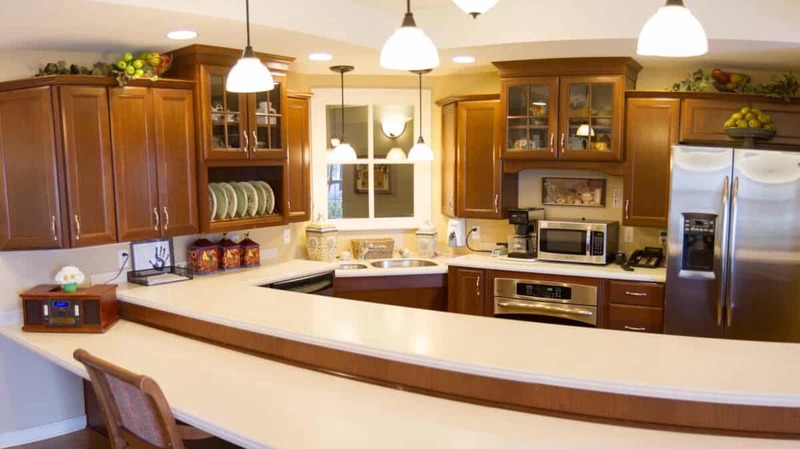 Newhaven Court at Clearview is a two-story community in a beautiful countryside setting. 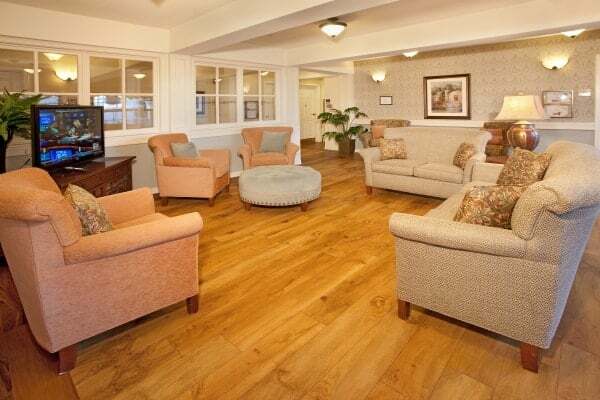 Newhaven Court at Clearview provides personal care to meet all our residents' individual needs. 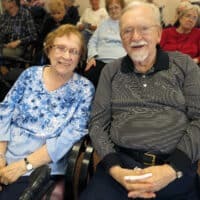 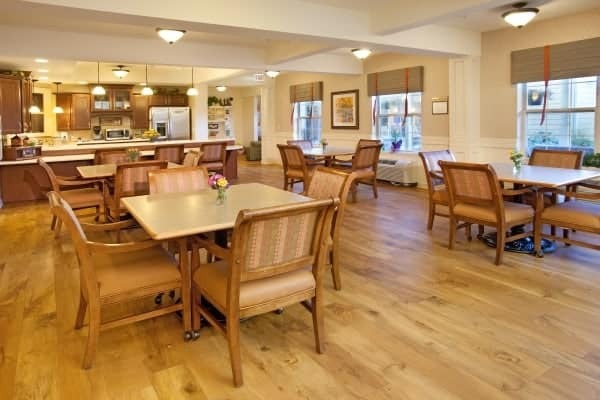 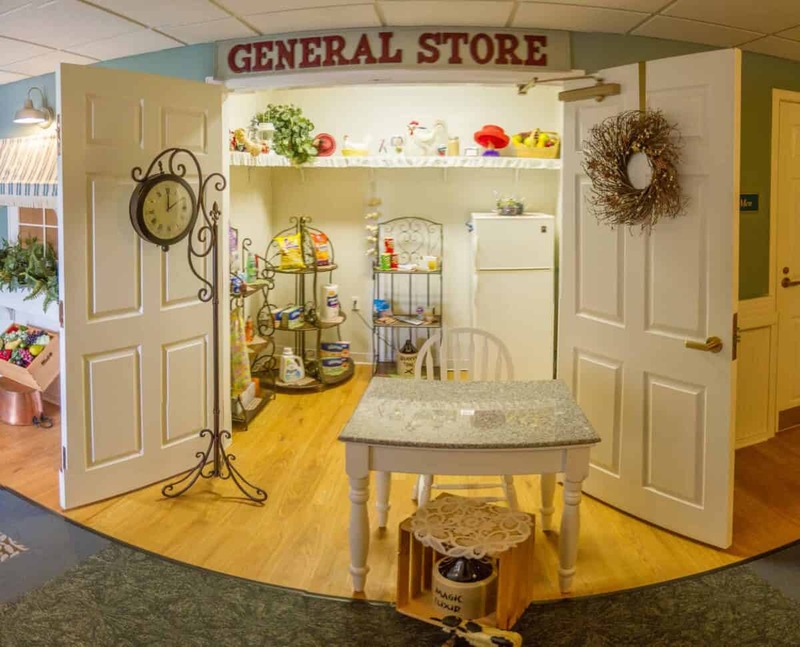 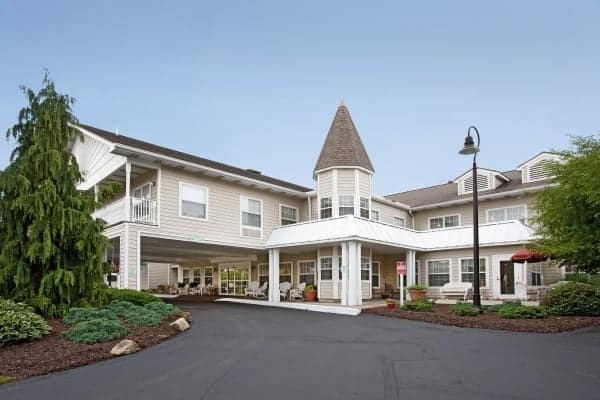 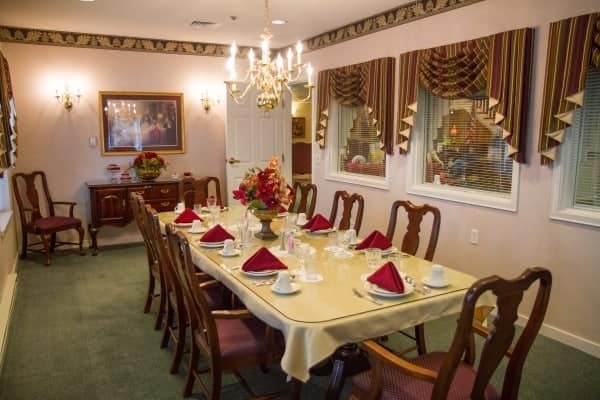 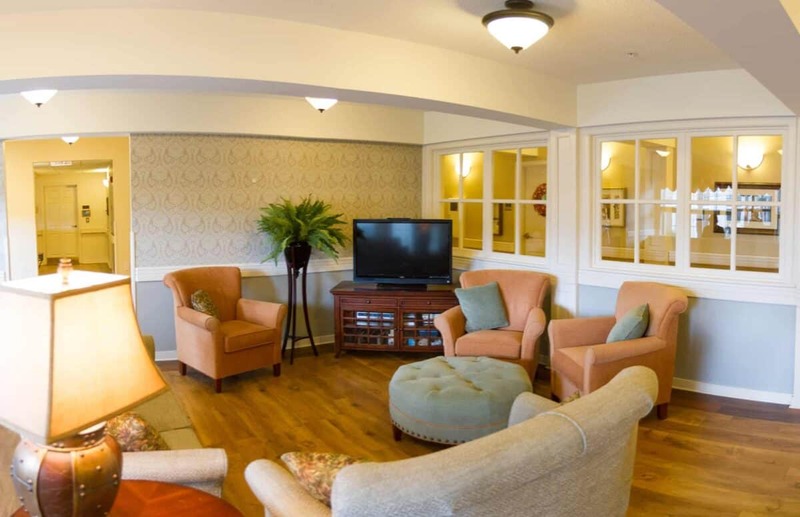 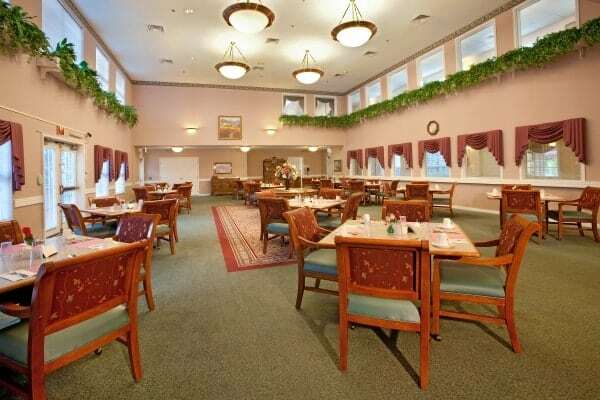 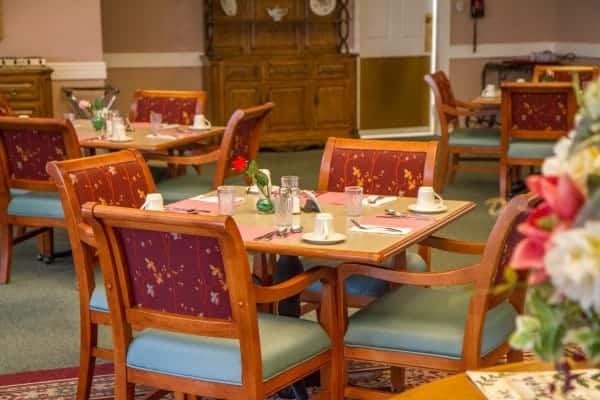 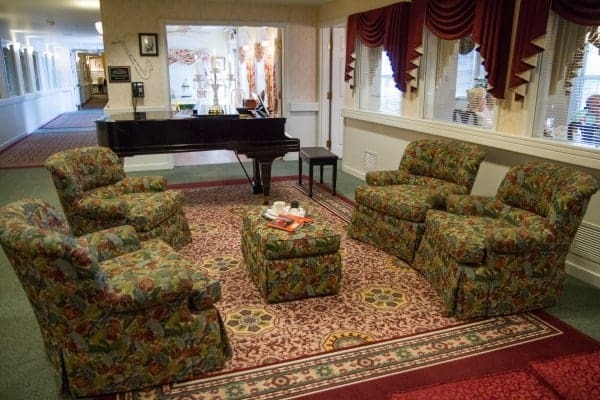 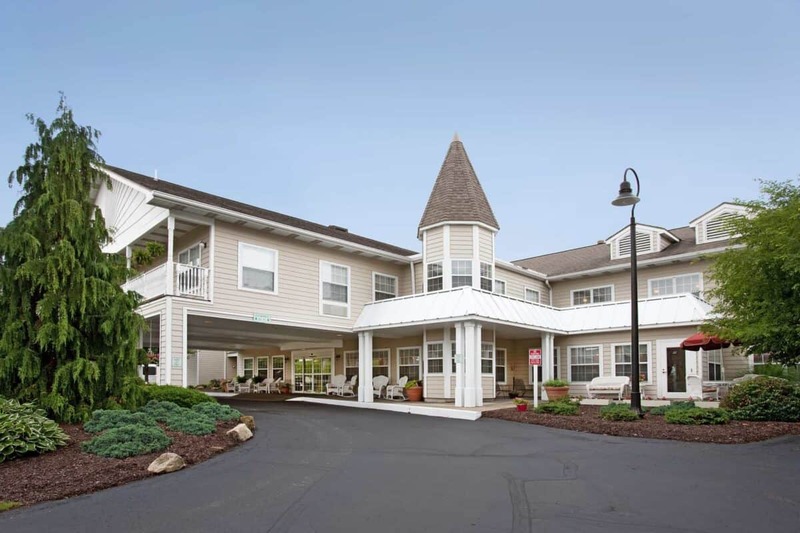 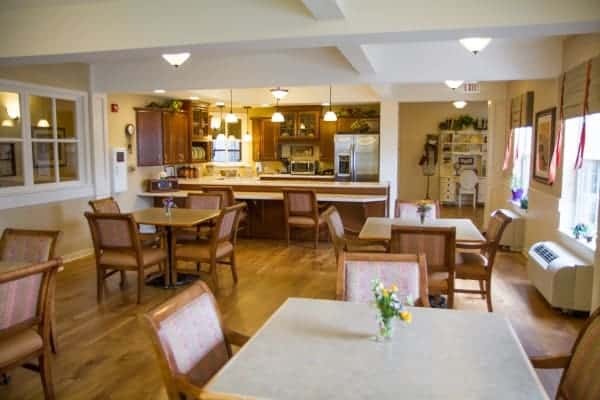 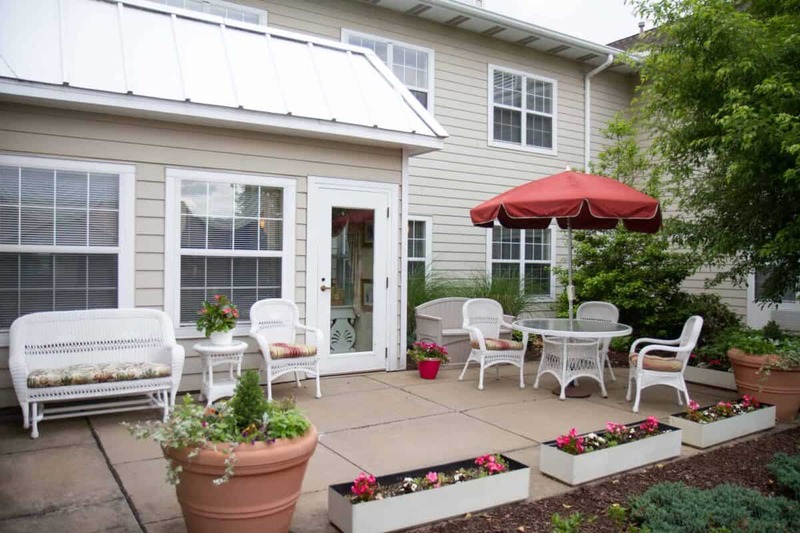 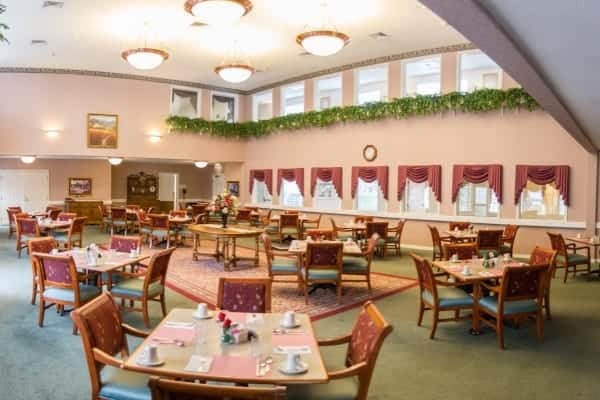 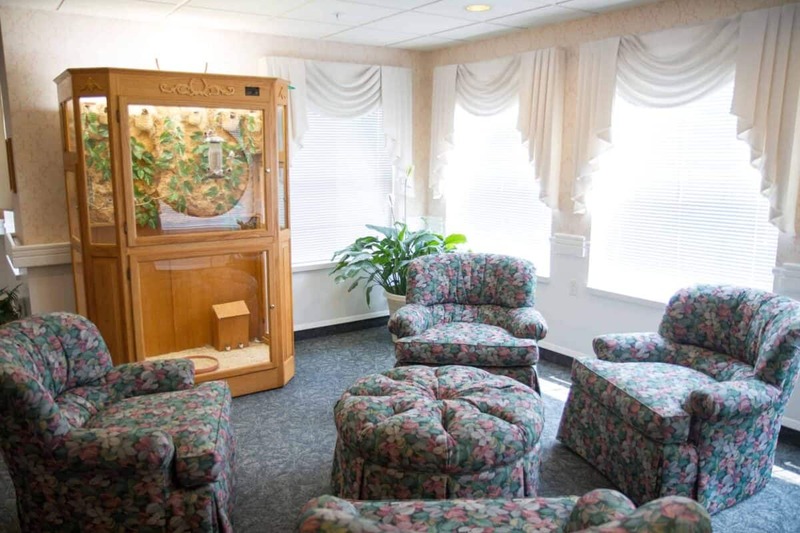 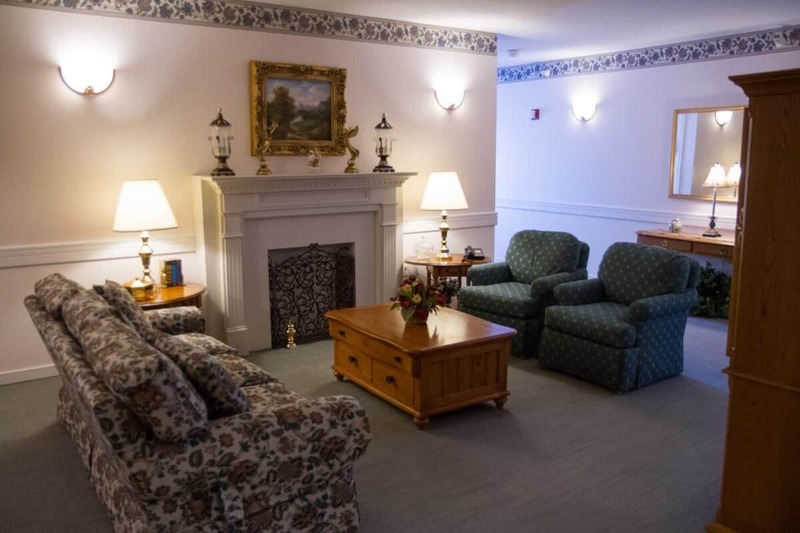 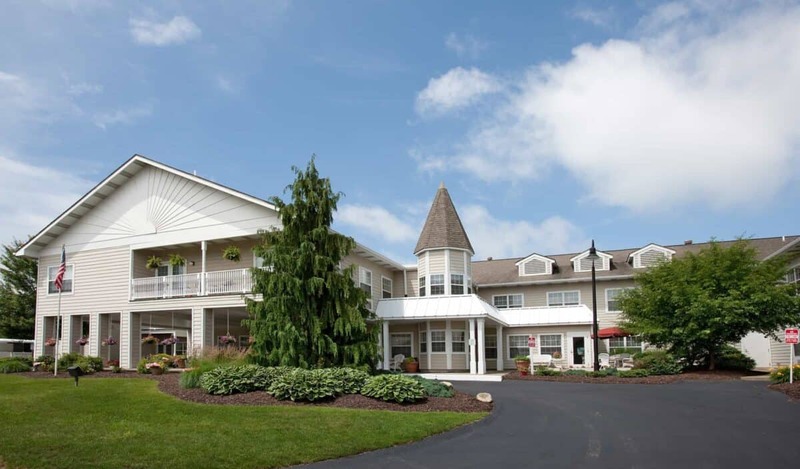 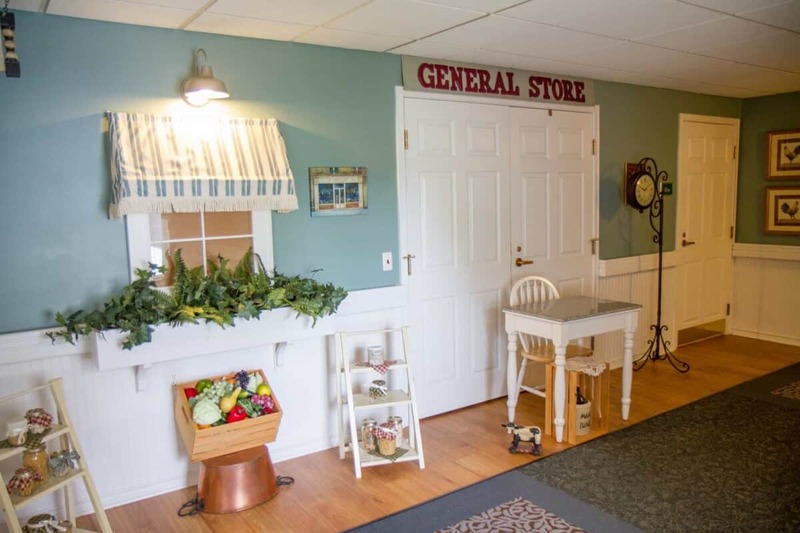 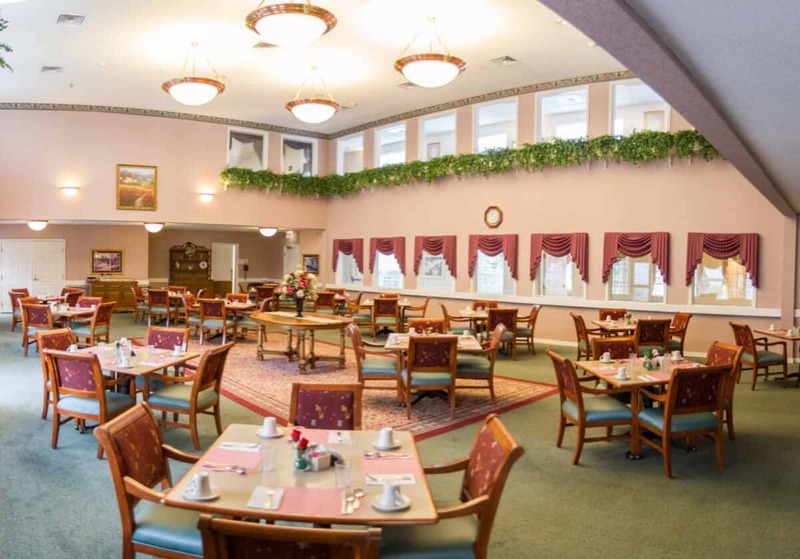 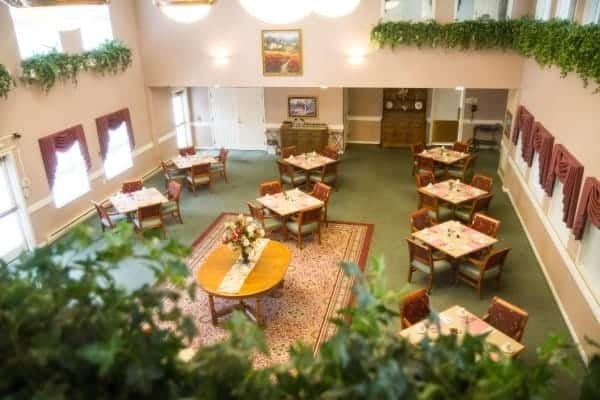 Newhaven Court at Clearview’s Memory Care Program is an exceptional residential setting for seniors who are living with memory impairments such as Alzheimer’s and other forms of dementia. 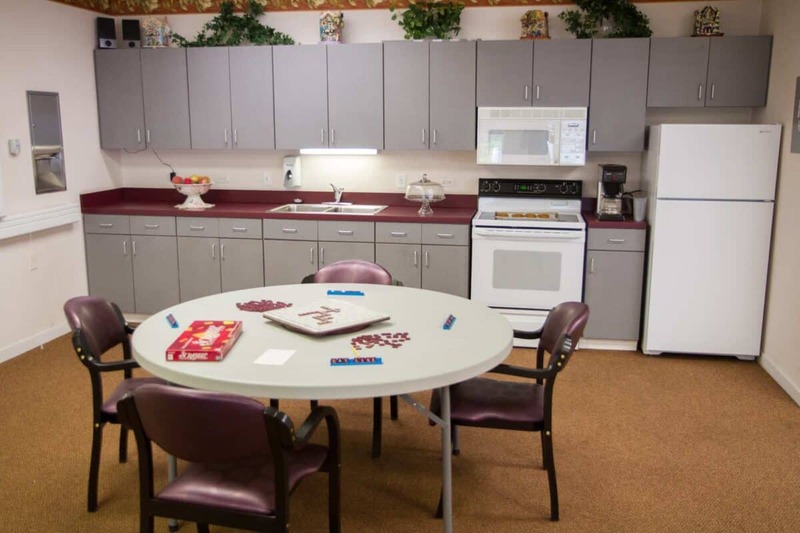 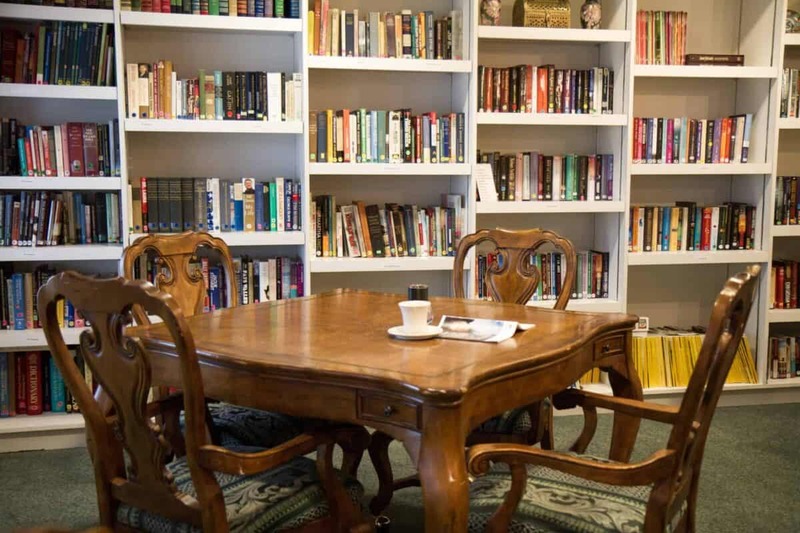 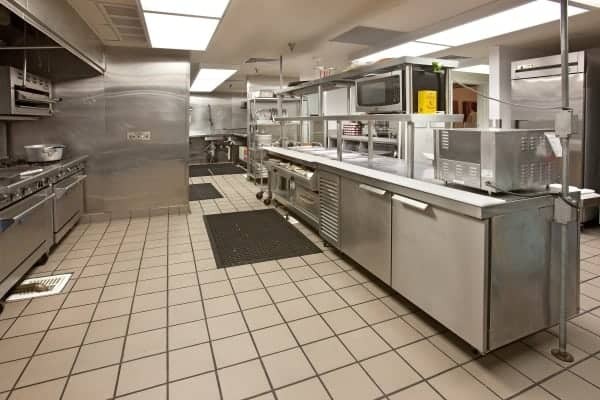 We offer a safe, warm, inviting, and dignified environment conducive to their emotional, spiritual, and social satisfaction. 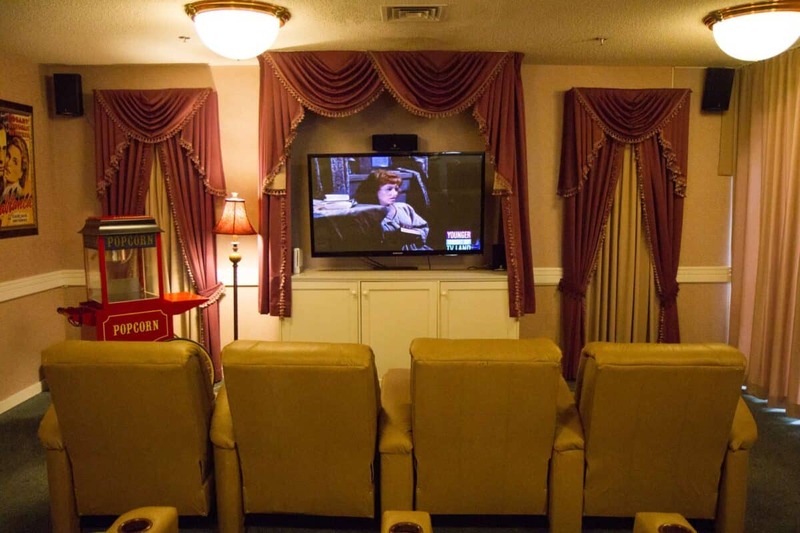 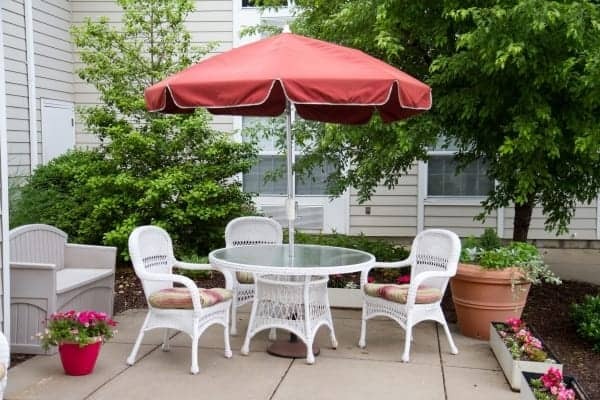 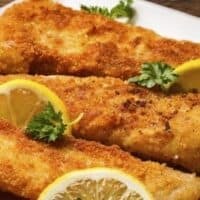 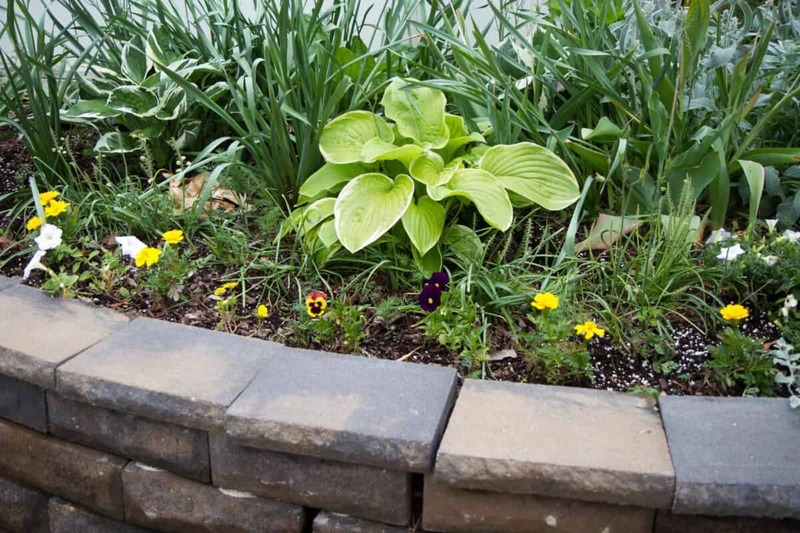 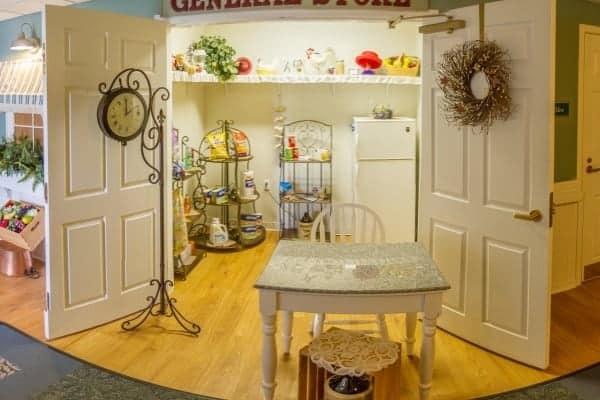 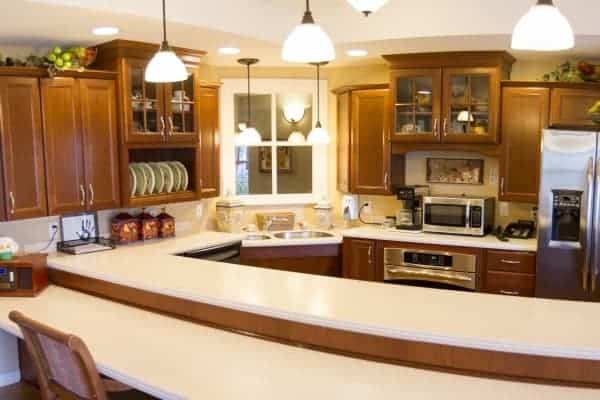 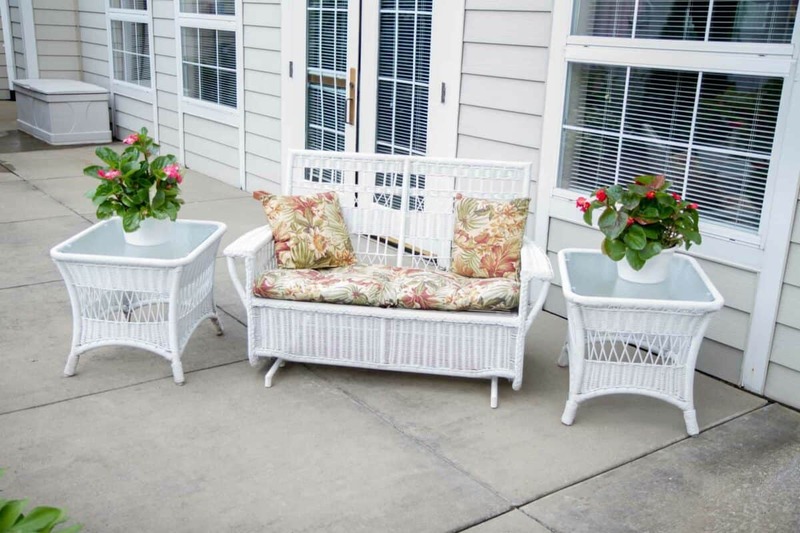 Your loved one will receive maximum comfort while enjoying a relaxing environment complete with beautiful landscaping and cozy areas for enjoying time with family and friends. 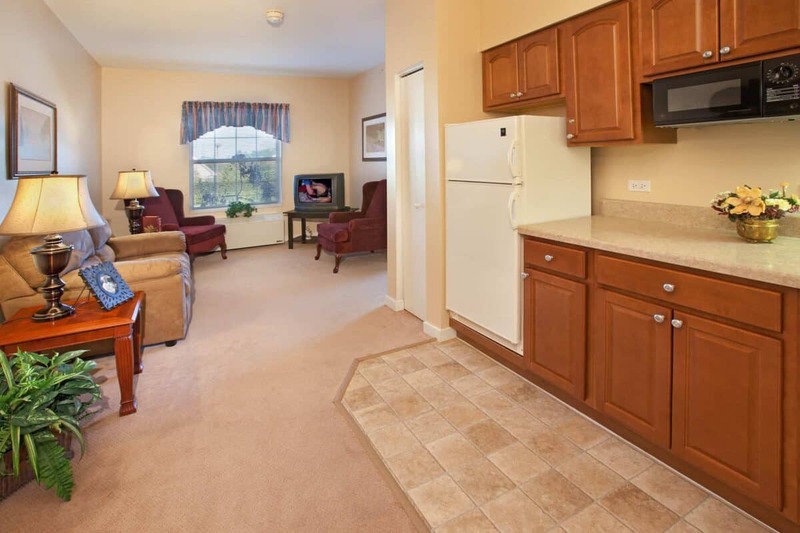 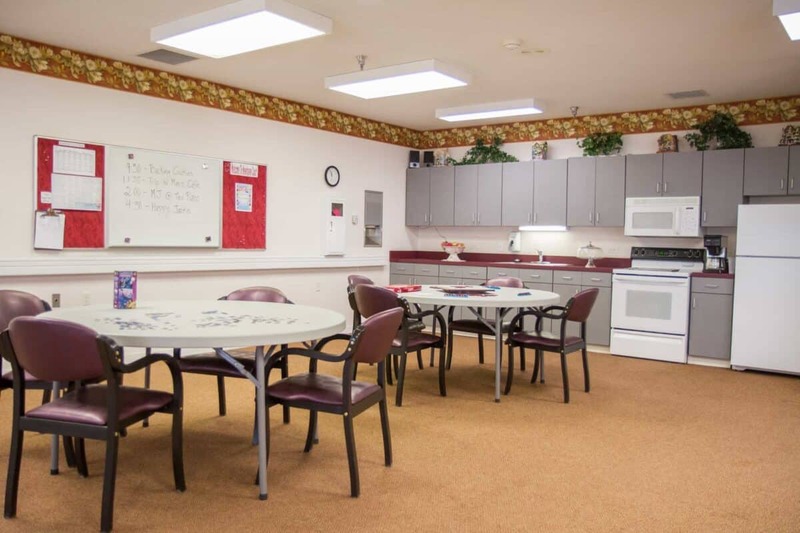 At Newhaven Court at Clearview, we understand that there are reasons for abbreviated stays in our community. 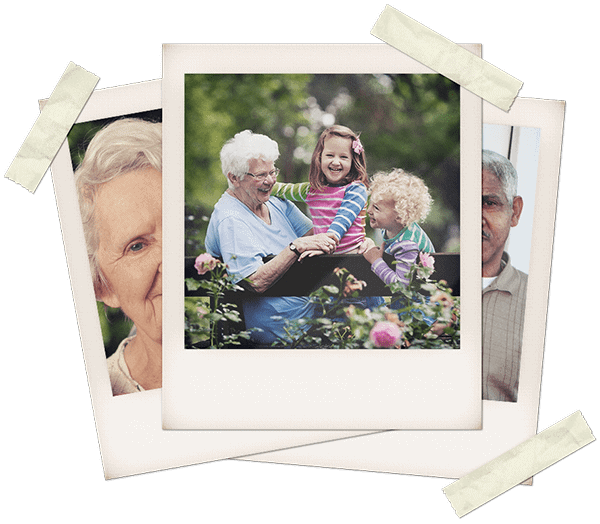 Family caregivers may need a vacation or extended leave, your loved one may need temporary rehabilitation post-surgery, or you may even want a trial stay for a prospective resident. 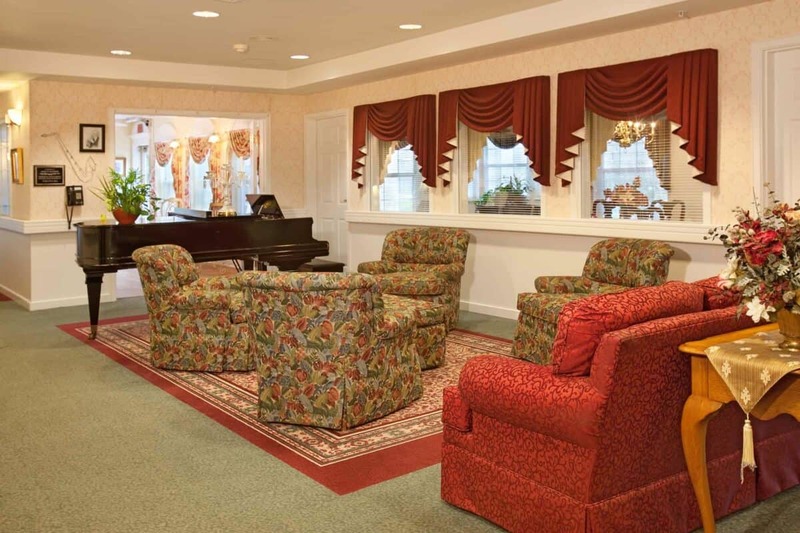 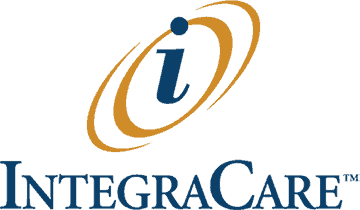 While the reasons for a temporary stay vary, our commitment to providing excellent and dedicated care is consistent. 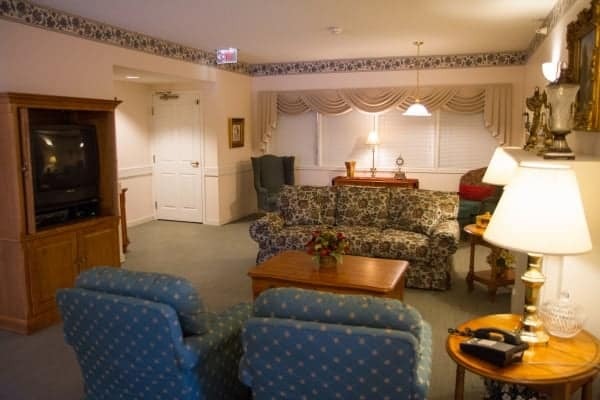 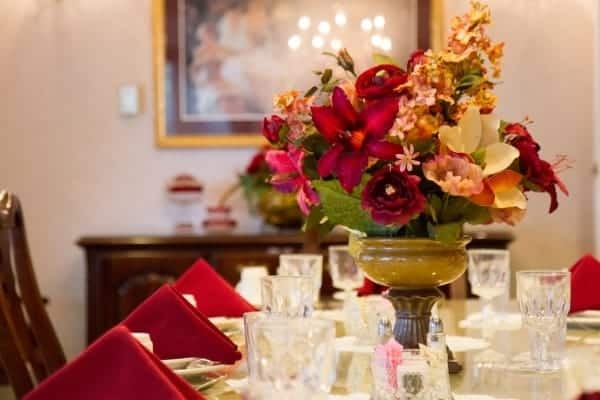 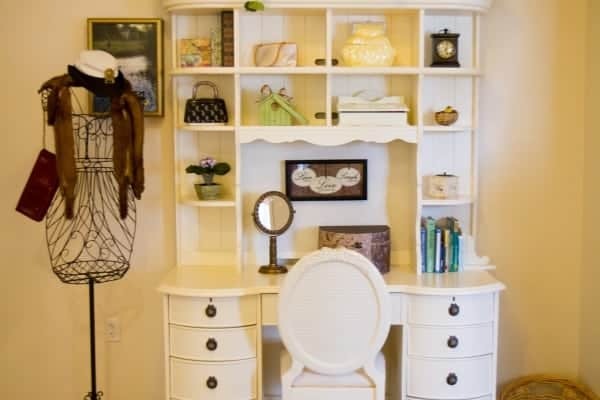 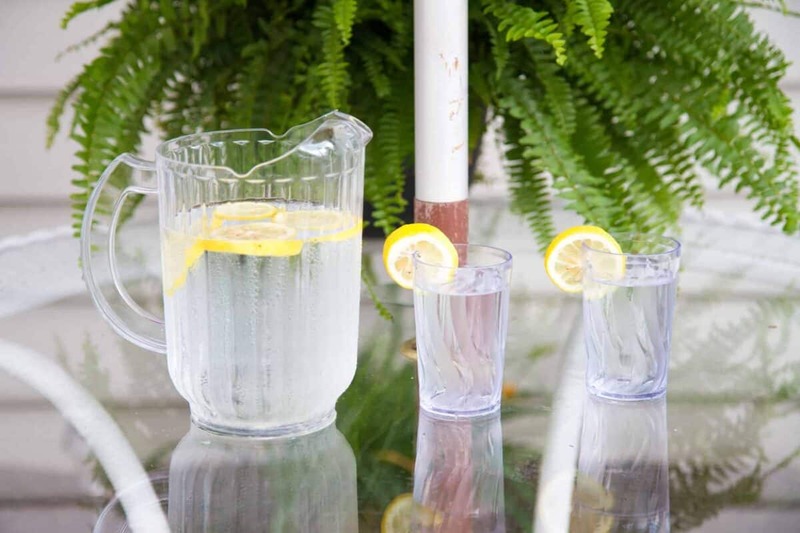 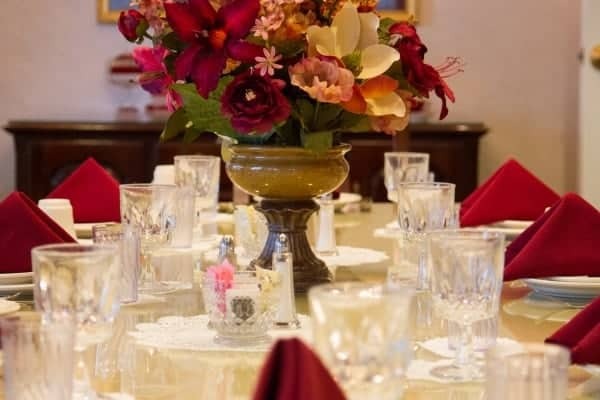 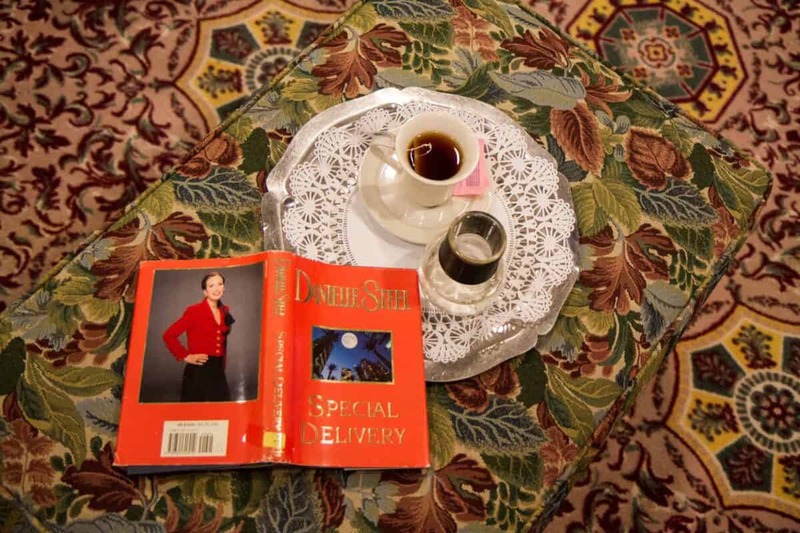 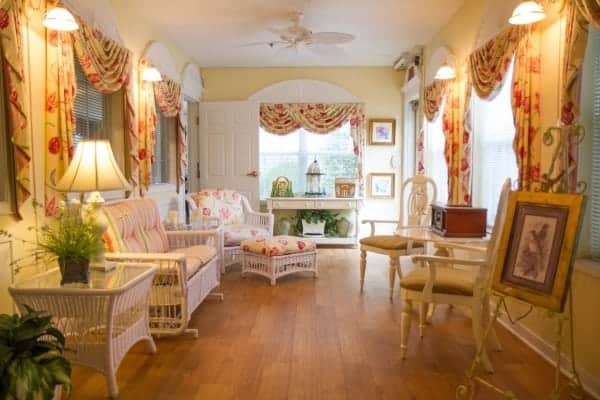 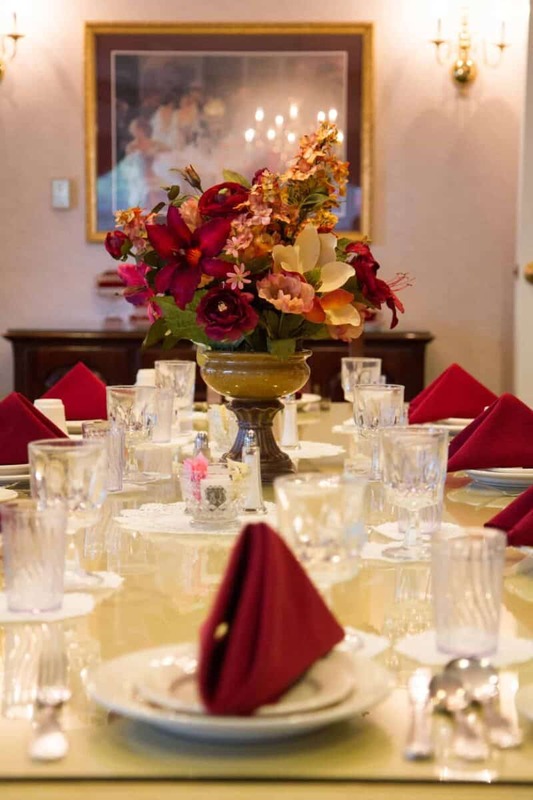 Our guests enjoy a private residence with all the comfortable amenities of home.